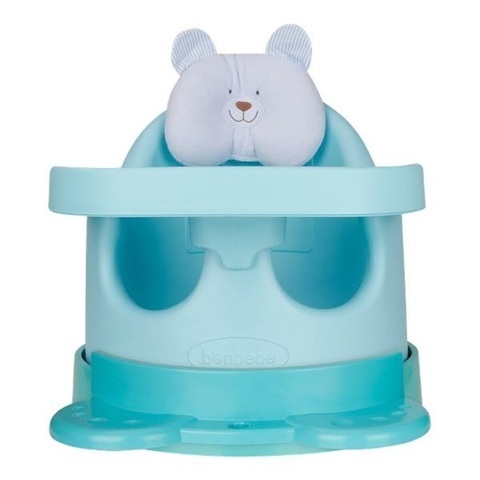 • Use from 3 months up to 5 years old. 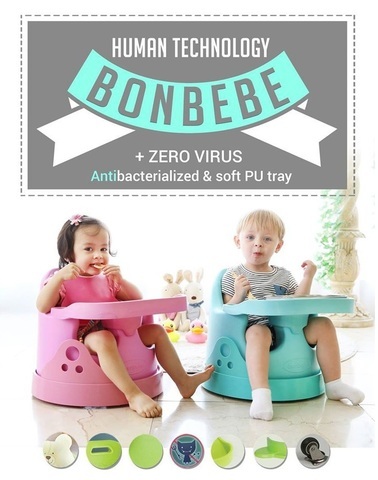 • Clean sanitary, Virus Free! 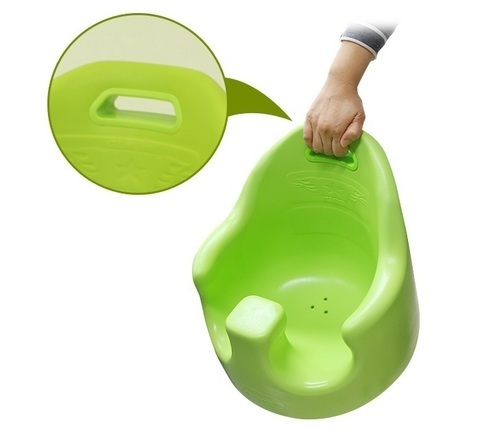 99% sanitation treated chair & tray. • Polyurethane tray Antibacterialized & Soft PU tray. 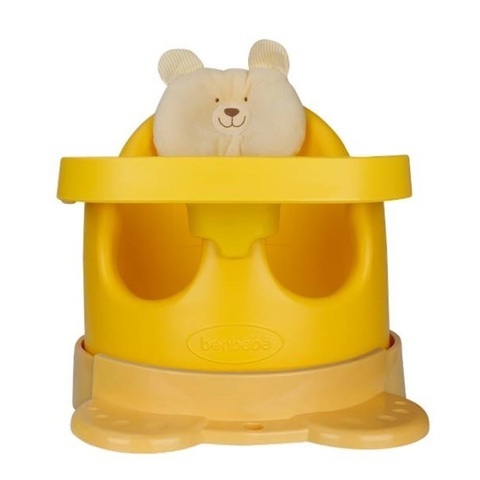 • Toys dishes fall preventing high tray guard. • High quality Urethane wheel for ride on toys. • Wide thigh hole (diameter 11cm) for chubby babies. 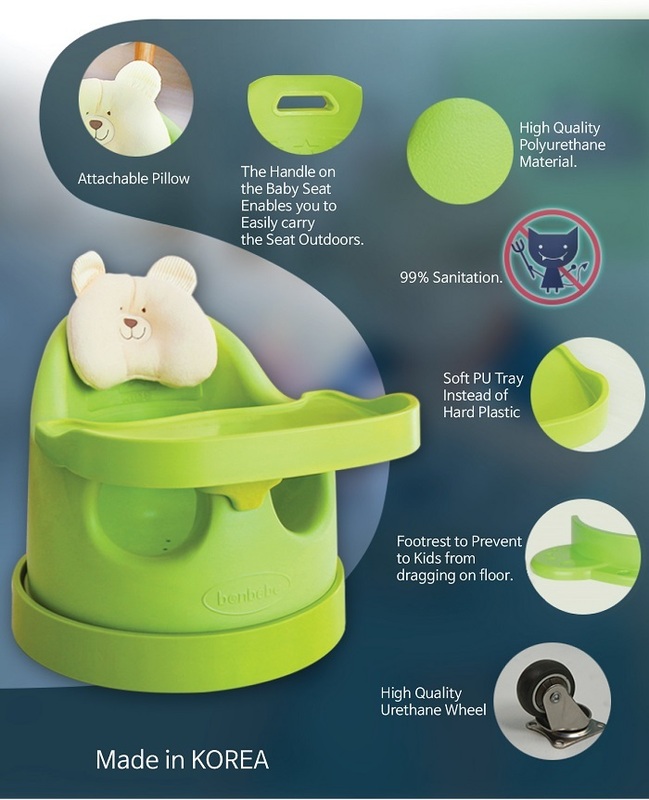 • For babies around 70 days especially who can’t support head, you can give a ramp on the chair by putting two wheels on the cart, so that babies can lean on the chair comfortably. 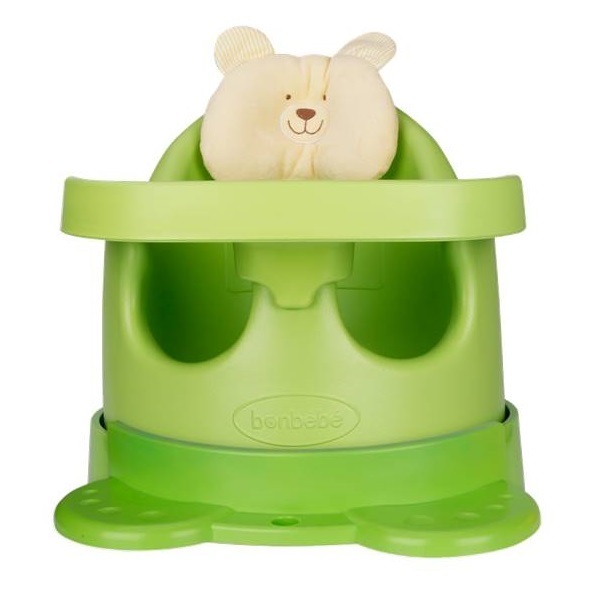 • For babies after 4 months, use 4 wheels. It can go any direction you want without noise and floor scratches. • Jumbo Chair - Soft PU antibiotic jumbo chair. 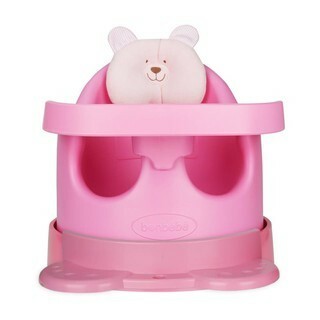 • Tray - Antibiotic PU tray preventing bowl and toys from falling. • Pillow - Attachable pillow for neck protection. • Cart - Movable spinning cart for play. • Cart Wheel (4ea) - High-grade wheels without noise and scratches. • Cart Support - Cart support preventing PU chair from falling backwards. • Stopper - A stopper put into cart hole to stop the upper plate from spinning. • Footrest - Footrest to prevent to kids from dragging on floor.